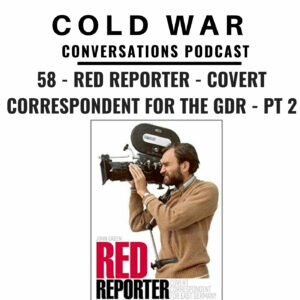 In this episode we welcome back John Green to talk further about his covert journalism for East Germany. Before we start I’d like to ask you to by leaving a review in Itunes or with your favourite podcast provider. It really helps us get new guests on the show. If you’d like to assist us further with the costs of running the show, then click here to learn more. Thank you so much to all our fans that are supporting us – it is really appreciated! 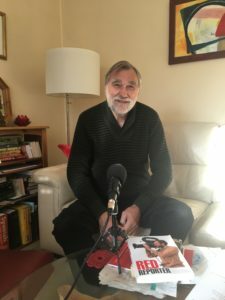 His story continues with his account of the Portuguese Carnation Revolution and a dangerous assignment to Pinochet’s Chile where he comes face to face with the infamous Dictator. We join my Cold War Conversation with John Green in Portugal.